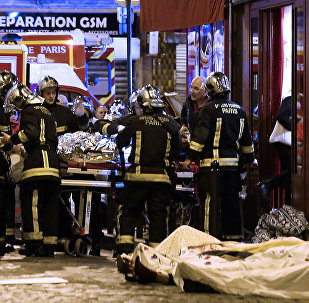 On November 13, 2015 a series of terrorist attacks across Paris left more than 150 people dead. 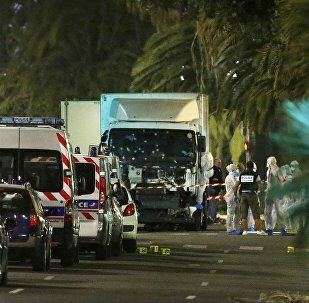 The attacks included a shooting at a Cambodian restaurant in the 10th arrondissement, another shooting at the Bataclan concert hall in Paris’s 11th arrondissement, and explosions outside the Stade de France stadium, becoming the worst terrorist incident in French history. 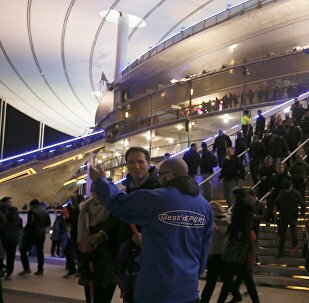 Salah Abdeslam, a suspect in the 2015 massive terrorist attacks in Paris, had planned to conduct one more explosion at the Stade de France stadium, but because of the malfunction his suicide belt did not explode, RTL broadcaster reported Thursday. 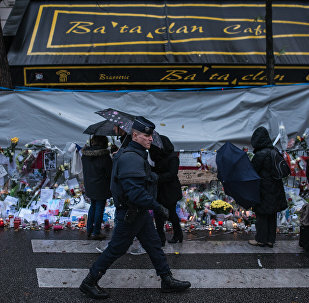 The November 2015 massacre in Paris led to the number of attacks related to Islamophobia in the United Kingdom. 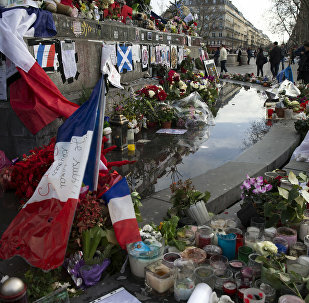 The state of emergency introduced in France after the November 2015 terrorist attacks may be prolonged, French Prime Minister Manuel Valls said Sunday. 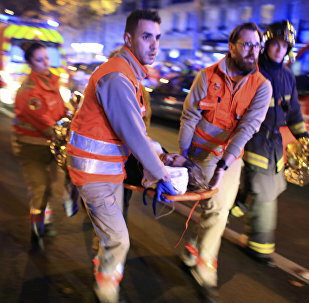 A year ago, on November 13, 2015, three coordinated groups of terrorists staged a series of attacks in Paris and the city’s northern suburb, Saint-Denis, which left 130 dead and over 350 wounded. Lawyers for the only surviving suspect in the 2015 Paris terror attacks that killed 130 people say they can no longer represent their client because he refuses to speak to them due to the 24-hour-surveillance he is under. 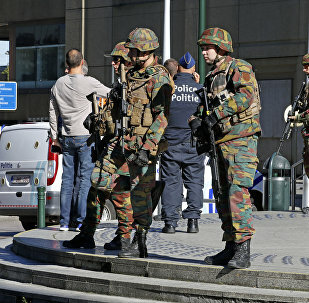 Belgian police missed 13 opportunities to identify those plotting the November 2015 attacks in Paris and therefore to prevent the tragedy, local media reported Saturday. 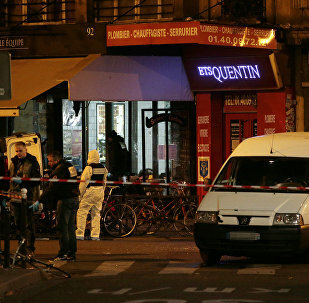 Police in Belgium had repeatedly received intelligence that could have prevented last year's deadly terror attacks in Paris, but preferred to ignore the information, according to the Belgian newspaper De Tijd. Sharing information among EU member states and their international partners has improved since the Daesh terror attacks in Paris in November 2015, transatlantic counterterrorism officials said on Monday. 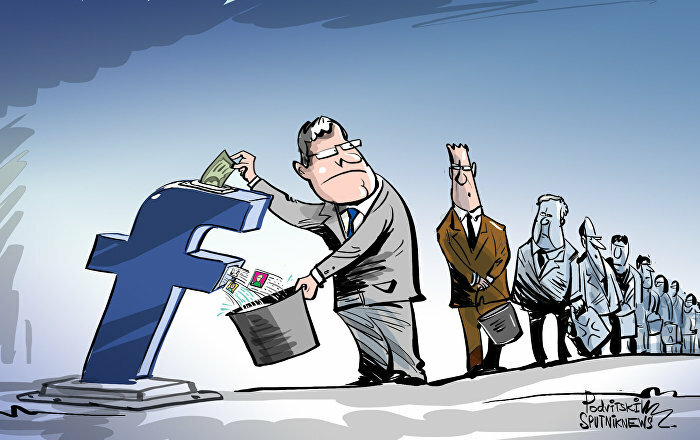 At least five of the Paris and Brussels terrorist attacks’ suspects received financial benefits from Belgium’s social-welfare system, The Wall Street Journal reports. Washington sanctioned Daesh fighter Mohamed Abrini who participated in the Paris and Brussels terrorist attacks. Retired French General Jean-Bernard Pinatel told Sputnik on Monday that Russia is the best partner for France in the struggle against the Islamist threat. French Interior Minister Bernard Cazeneuve announced on Monday plans to establish a foundation to fund mosques in a bid to avoid their funding from radicalized Muslims, after a number of terrorist attacks shook France. France's upper house of parliament, the Senate, voted on Wednesday to extend the state of emergency in the country for another six months. 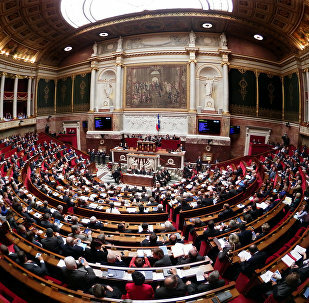 French National Assembly has voted to extend the state of emergency in the country for six months, the Assembly's statement said on Wednesday. One of the reasons for Paris November 2015 attacks was the intelligence services malpractice, which is why is needs to be reformed. A Belgian court has approved the extradition of Brussels Airport terror attack suspect and main Paris terror attack suspect to France, the Belgian federal prosecutor's office said Thursday. The council chamber in Brussels has approved the extradition of Hamza Attou, one of the suspects in the Paris terrorist attacks, to France, RTBF TV reports. Seventeen families of the Paris attacks victims intend to sue Belgium for failing to prosecute the Abdeslam brothers despite having information about their radicalization, the families' lawyer said Monday. The French parliament on Thursday declared the state of emergency in the country for two months starting May 26.